This is my latest commission of a friend. 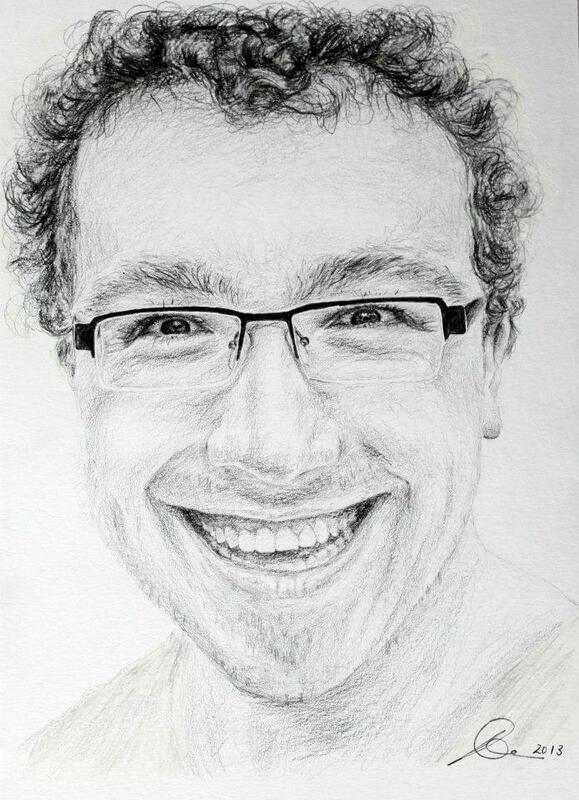 He’s is a curly-haired, glasses-wearing, intelligent uni student, with a wicked sense of humour. He’s a decent guy and always has this big smile on his face when he cracks jokes. He’s never dull, that’s for sure! I hope you like the portrait, it was a good one to draw. Next postVery Inspiring Blogger Award? You’re kidding! Questions to you. So cute smile … i like this portrait.